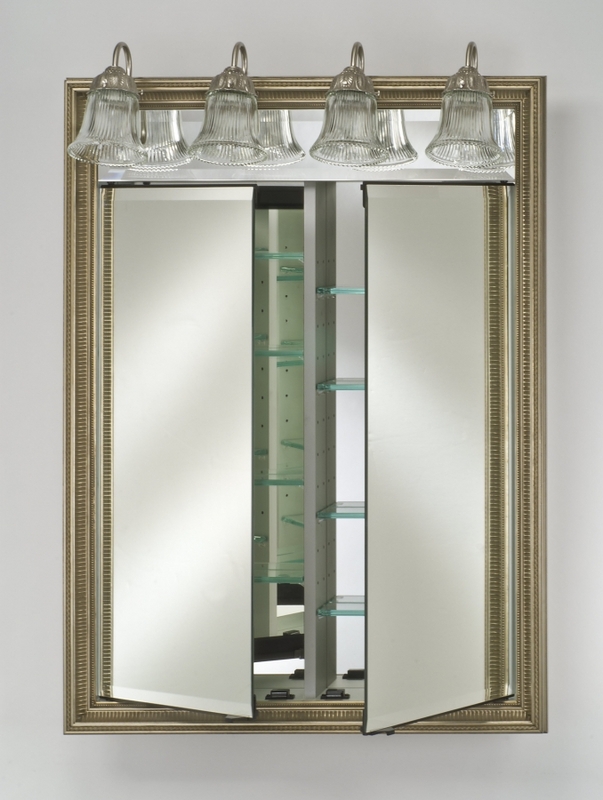 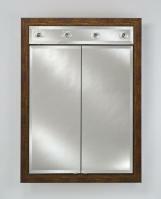 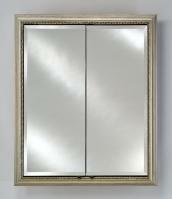 The sleek styling of this medicine cabinet enhances the decor of the bathroom as well as offering great functionality. 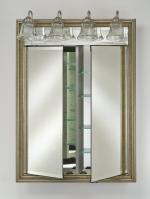 The frame around the piece is available in a wide variety of finish color choices to customize it to best match the bathroom. The four light fixtures are elegantly styled and direct the lighting to the mirror area.